Threats by the government to evict communal farmers in Filabusi, Matabeleland South, to allegedly pave way for those from outside the province are stoking fears of tribal clashes in the area, analysts and political parties have warned. At least 54 Filabusi families occupying Hilton Farm in Matabeleland South's Insiza district have received "photocopied" notices of eviction allegedly signed by a Lands ministry official, one Musengi, giving them days to vacate the property and pave way for "some beneficiaries", with some coming from as far as Masvingo. 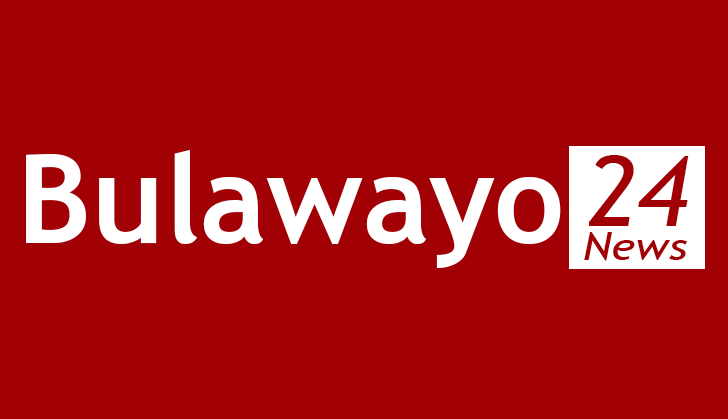 The move has angered the local community, Bulawayo pressure groups and the militant Mthwakazi Republic Party (MRP) that have ganged up and also engaged lawyers to resist the evictions. According to a photocopied notice of eviction letter signed by Musengi addressed to Marko Mpofu, he and several families at Hilton Farm in Filabusi, who have been residing at the place for years, must vacate the place on the grounds that they are illegal settlers. "You are violating section 3 of the Gazetted Lands (Consequential Provisions) Act Chapter 20:28: Gazetted Land Act in that you are occupying the said property without lawful authority," the letter, threatening arrests and prosecutions, reads in part. However, the threats have been met with anger amid claims villagers are being evicted to pave way for "outsiders", with analysts and political parties warning of tribal and ethnic land disputes. "The removal of locals from the land to make way for outsiders is not only an act of violent injustice, but a demonstration of failure on the part of government to ensure certainty in the land reform exercise. "It will not only flare up ethnic or tribal divisions in the country, but will itself stoke future tribal land wars in the country," commented Effie Ncube, a Bulawayo based analyst. "We are doing exactly what has been happening in central Africa leading to endless wars. "This will only lead to further divisions and destabilise the country. "What is troubling is the fact that the people being dispossessed of their land are survivors of the Gukurahundi atrocities that were committed at the superintendence of this government." The Democratic Republic of Congo's deadly land conflict started over grazing cows' pastures in 1999, when Hema herders evicted Lendu farmers after purchasing their land. Eviction grievances led both tribes to pick up weapons, leaving several thousands dead. "The land reform programme in Zimbabwe was skewed in the first place. "It was another episode of land grabs by foreigners, just like the colonialists did in the 1800s, especially in Matabeleland provinces where locals lost land to foreign Zanu-PF supporters," said Zapu spokesperson Iphithule Maphosa. "If nothing is done about this blatant land grab and displacement of people of Ndebele extraction, we are certain the next generation will revolt, plunging the country and particularly the region into a war over land similar to that of Palestine and Israel." The move to evict the villagers has been likened to the 2015 attempt by state spy Rodney Mashingaidze to grab Maleme Ranch in Matobo belonging to Peter Cunningham. Mashingaidze's manoeuvres sparked protests by the local community, chiefs, civic groups and opposition political parties, forcing him to back off. Former vice-president Phelekezela Mphoko had to intervene and ordered Mashingaidze to vacate the property. Mphoko directed the Lands ministry to identify a farm for him elsewhere and not Maleme, which also houses the Big Cave Camp and Ebenezer Agricultural Training Centre. The farm was benefiting at least 800 families, with Cunningham being credited for assisting villagers with various projects, including poultry farming and teaching them modern farming methods. Maleme Ranch provides grazing pastures to the villagers, who were also given pieces of land by Cunningham to do their small-scale agricultural projects, like poultry. The militant MRP has since engaged Ncube-Tshabalala Attorneys to stay the Hilton Farm evictions with the party's spokesperson Njabulo Ngwenya telling The Standard that the secessionist party would not stand idle while "our people are being evicted". "As MRP we reiterate that the custodians of our land are chiefs and headmen," he said. "Any eviction notice in Matabeleland is expected to carry the signature of our traditional leadership. "We encourage the people of Matabeleland to unite and refuse to be bullied on their own land." Lawyers' engaged by the MRP have managed to stay the evictions, possible arrests and prosecutions pending resolution of the land dispute, according to a letter addressed to the Insiza district Lands office dated February 7 after threatening legal action. The lawyers are representing the 54 affected families. Bekezela Maduma Fuzwayo, a Gwanda commentator, argued failure to devolve powers as guaranteed in the constitution is the reason why Matabeleland continues to witness "tribally fuelled" land disputes involving locals and government officials from other provinces. "It (devolution) is the only tool that we can use to fight the tribal segregation that our government has been ably executing since we attained independence," Fuzwayo said. "The spirit of devolution of power is very explicit that local people must be given priority in benefiting and having access to their local resources and so government needs to start believing in that now and practicing it even before devolution is implemented." Ncube, who is also the CEO of the Crown Council that is pushing for the restoration of the Ndebele monarchy, weighed in saying the planned evictions ran against the essence of devolution. "It is an act against the spirit and letter of the constitution," he said. "By taking the land away from the people, as an instruction coming from central government, the leaders are trampling on the principles of devolution of power which is supposed to devolve the ownership of the land and devolve education, among others, to the people in their localities." Zapu said it was high time political parties and the legislature created a law that forbids tribalism by the Zimbabwean state. "They must also expedite a proper land audit that is aimed at correcting the anomaly there is that the so-called land reform was just another episode of land grabs and dispossession of local people by foreign outsiders," Maphosa said. In separate interviews, the affected families said they would resist the evictions with Mpofu vowing, "I will die defending my land from being grabbed by outsiders."